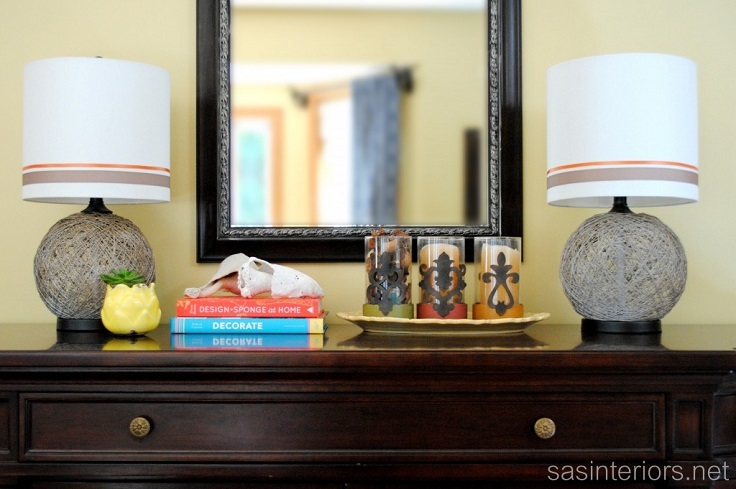 Decorating a lamp at home is really easy project that can make a difference to any room. If you were looking for a way to improve the interior, this is a good idea because not only is simple, but most of the time is budget-friendly too, as most of the materials you might already have at home. 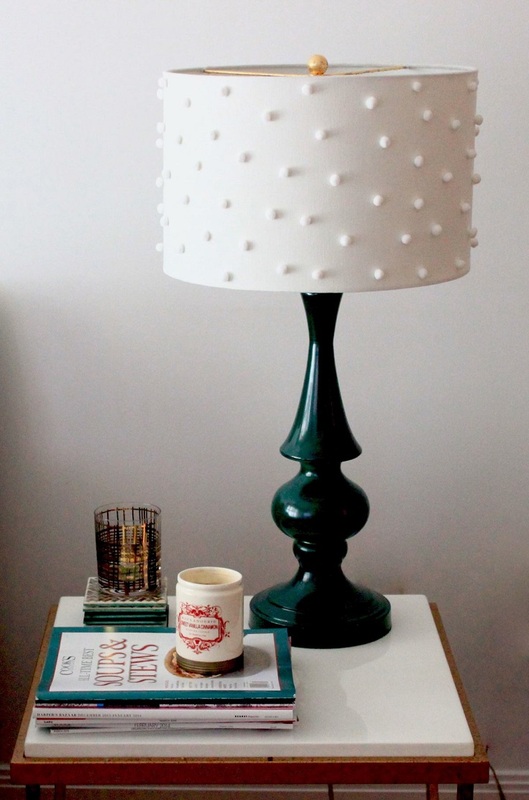 From using pom poms to creating ombre effect, there are many ways you can decorate a lamp! It’s up to you to scroll down and see which one suits your home the best. Pom poms are a great way to decorate a certain item. You can choose mini or pom poms with bigger size for a cheap price at DIY stores. One of the ways you can use them for decoration is to do a lamp revamp. It’s a really simple project that isn’t expensive at all. For this lamp you need: spray paint, gilding sheets, gilding adhesive, paint brush, mini pom poms, plastic bag, tape and permanent fabric glue. This project leaves you with a lot of choice when it comes to the fabric being used. There are so many patterns and themes that you can choose and the good part is that you don’t have to buy fabric as long as you have an old one you can use. Besides the desired fabric, you will also need spray paint, primer and spray adhesive. Cheap and very simple! Dots are really cute! The best part about them is that you can easily make any project with dots – it’s that simple that any DIY beginner can make it on their own. 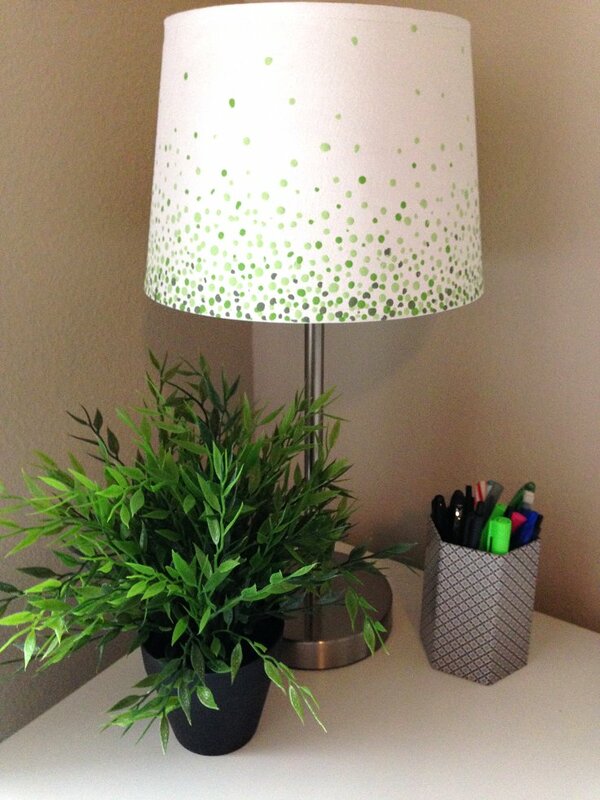 To make this lamp with ombre dots, you need newspaper or paper towels, acrylic paint in colors by your choice (look how awesome green looks! ), paint brush with round end and plate for paint mixing. If you want to add some old, rustic charm to your home, but your budget isn’t allowing you a total makeover or the decoration you want is too expensive for you, here’s how you can get what you want and not empty your pockets. 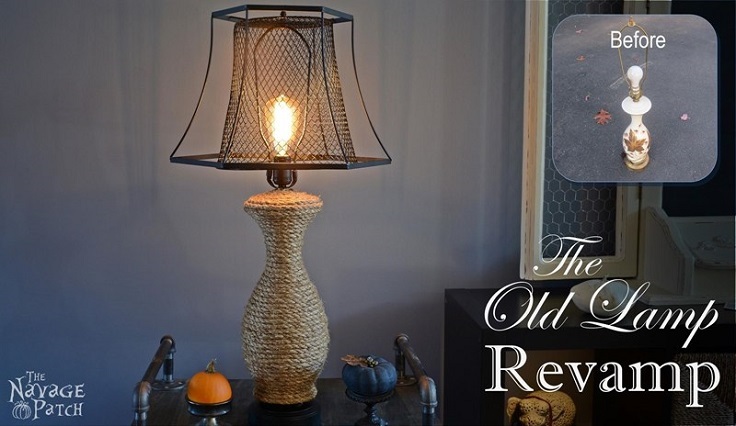 Revamping an old lamp in this style is certainly something that will help you, and for that you need hot glue gun, rope, spray paint, lighting fixture, waste bucket and lamp frame. This lamp had a total makeover! The bottom part was black and there were no ribbons at the beginning. But, if you leave your imagination to take over, it can get totally different look. For this lamp, certain materials were used and those are spray paint in a latte color or any other color that you would like and ribbon for additional decoration. The ombre trend showed up few years ago and it seems that it’s going to stick more – we’re totally okay with that because it looks amazing! From clothes to hair, glasses to table runners, there are so many things that can be decorated this way and the lamp is one of them. Here the ombre is pink, but of course the choice of color is all yours! Do you have a friend who truly loves travelling more than anything else? Or are you that person? 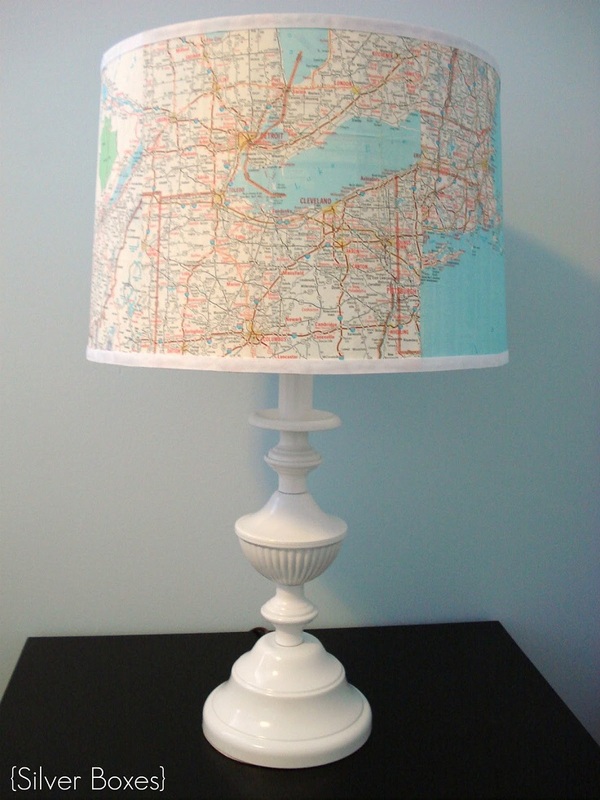 In all cases, getting yourself a lamp with a map on it could be the real deal for you. It can be a map of a place that fascinated you the most or where you made the most precious memories and putting it on your lampshade can remind you every day of this. This kind of lamp can also be an amazing gift to a dear person. 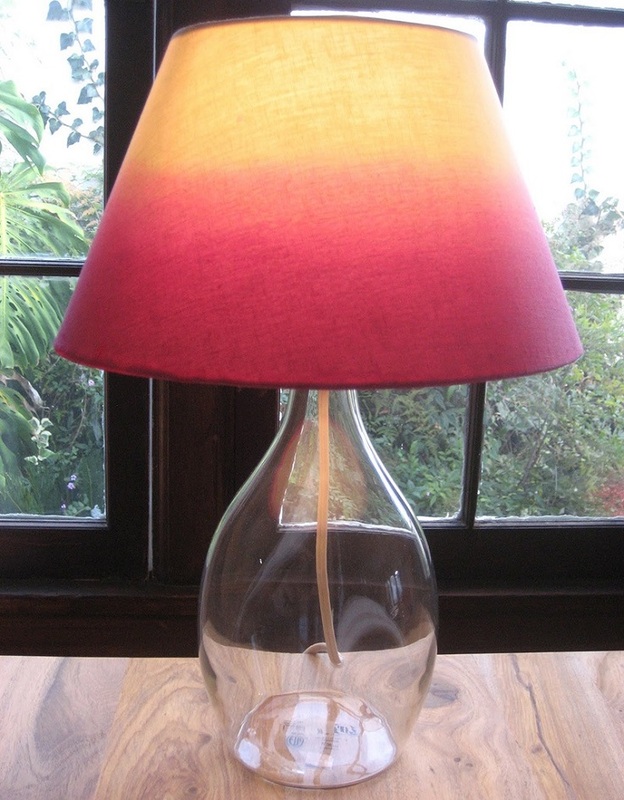 Here’s another ombre lamp that you can make, but this time it is with yarn. Pick three colors that you like and make sure they will go well with each other – you will need to create the ombre effect. 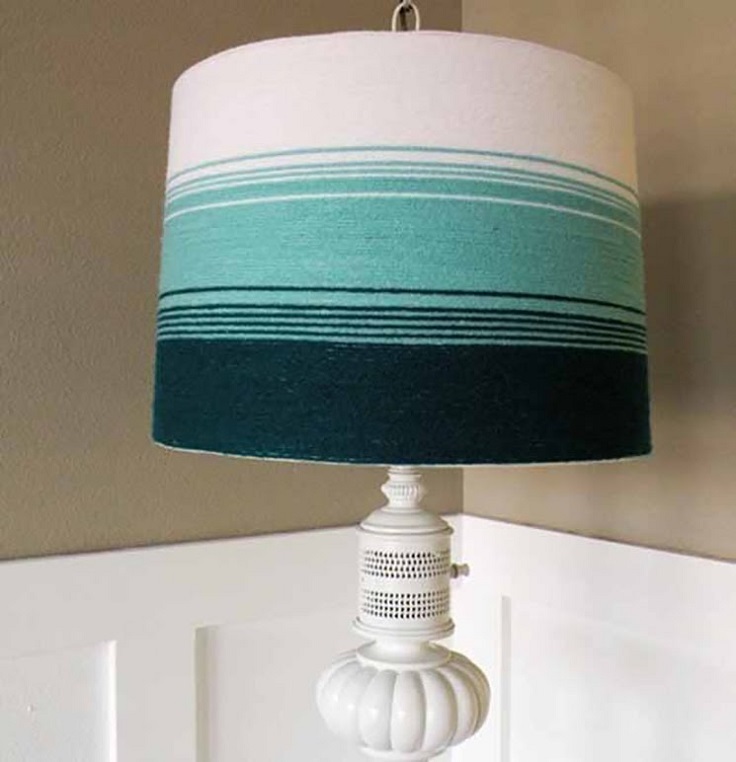 You will also need hot glue to secure the yarn against the lamp shade, but add just a little glue because you don’t want too much of it, it can ruin the look. Isn’t this such a wonderful lamp? 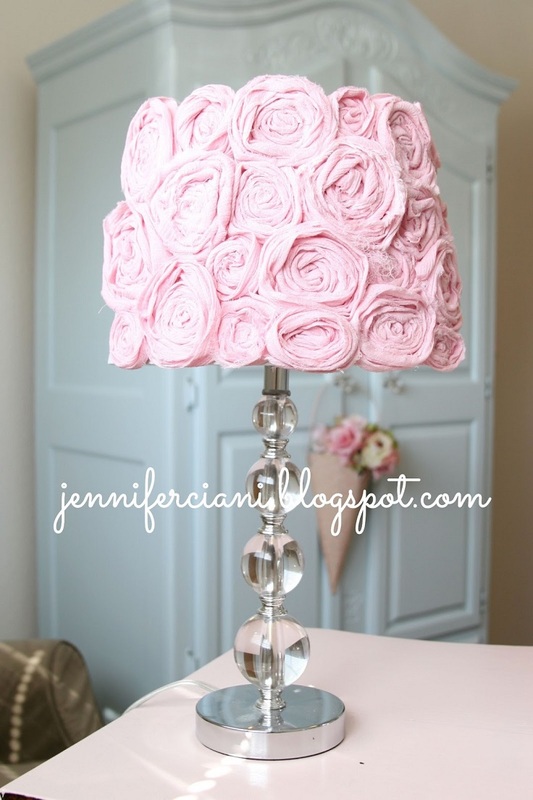 The roses look so good, it simply made us craving for this lamp the moment we saw it! In order to make this one at home, you need glue gun, glue sticks and 3 to 5 yards of the fabric of your choice (in this case pink gauze fabric is used). First you’ll need to make the roses and for a medium size lamp you’ll need about 50 of them. This lamp is perfect for anybody who plans on adding a vintage decor inside the room. It’s very easy project and it doesn’t require too much money to make it. 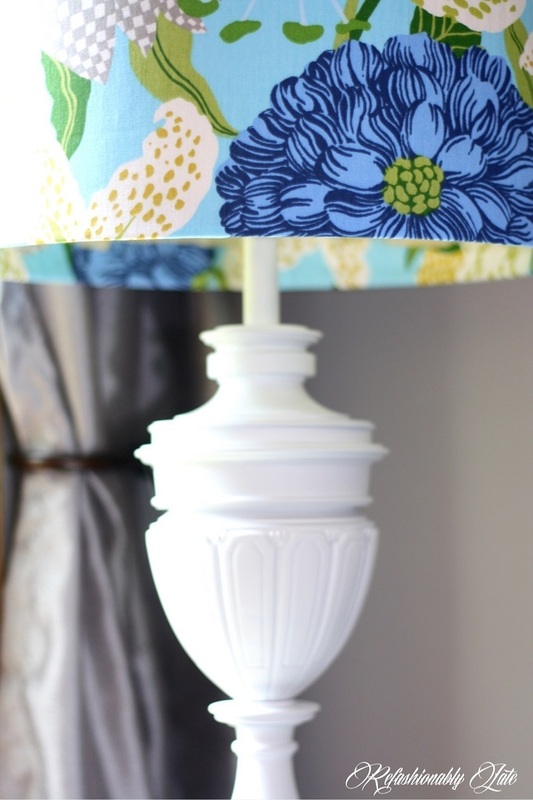 First make sure you have the needed materials – get a cheap, plain lamp shade, a fine-tip Sharpie and print outs of what you want to put on the lamp. 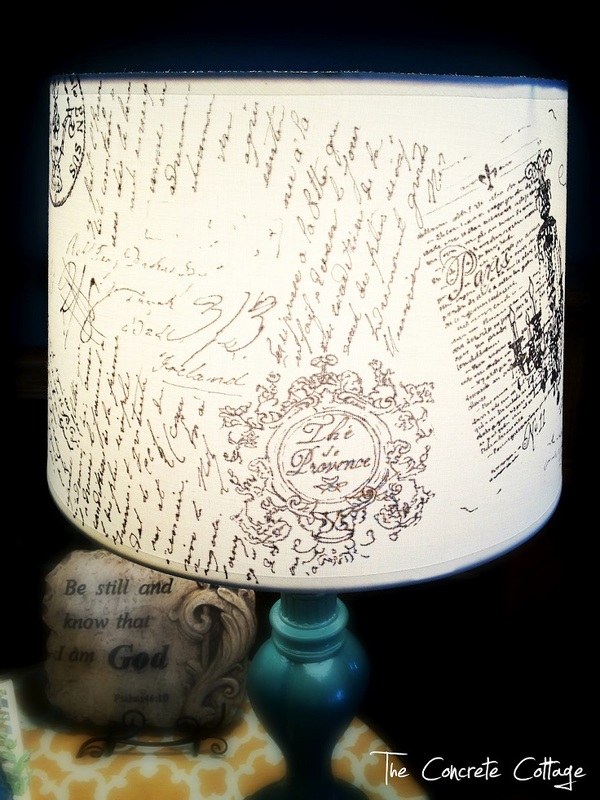 Additionally, you can later use coffee or tea stains to make the lamp look even more vintage.